Our goal is to connect people with the best local experts. We scored home inspectors on more than 25 variables across five categories, and analysed the results to give you a hand-picked list of the best home inspectors in San Antonio, TX. A Buyers Choice (ABC), owned and operated by Larry Keeble, has been serving the San Antonio and Wilson County area for over 25 years. They believe that buying or building a home is the largest investment you will ever make and no area should be overlooked during any inspection. They provide onsite computer generated documentation that is fast, accurate, and reliable to get you the right information you need to make the right decision. Their inspector is InterNACHI certified and will help you make an informed decision when evaluating the physical condition of any home. A-Pro Home Inspections in San Antonio is recognized for their professionalism and thorough work. Founded in 1994, they make sure to check every area in the house thoroughly and patiently and provide detailed reports to help homeowners and home buyers best understand the nuances of the property. A-Pro Home Inspections is licensed by the Texas Real Estate Commission, InterNACHI Certified, and won the 2013 Angie's List Super Service Award. AIM Real Estate Inspections in San Antonio has been serving the San Antonio area for several years while providing professional and reliable home inspection services. They offer a fast turnaround on inspections and customers can get an accurate, detailed home inspection report in less than 24 hours and sometimes even the same day. You can expect their courteous staff to walk you through the home inspection every step of the way with accurate results so that you can buy or sell your home quickly. Babcock Home Inspector is dedicated to providing one-of-a-kind termite control services and home inspections. San Antonio customers receive comprehensive reports that outline what is found during an inspection as well as recommendations for repairs. All clients get complete assistance and full attention when needed, which includes buyers, sellers, and new home construction projects. Diamond 1 Home Inspections is licensed by the Texas Real Estate Commission to provide home inspection services in the Marion and San Antonio area. Their inspection could be the crucial factor that saves you thousands of dollars. They are trained and experienced in identifying expensive and potentially dangerous problems in any home. Their inspection services include but are not limited to septic tanks, wells, and pools as well as wood destroying insects including termites. Good Guys Home Inspection was founded by two US Air Force veterans with more than 45 years of combined military service. Since 2010, they have been providing accurate, informative, and easy-to-read home inspection reports so that you can make informed decisions when it comes to real estate transactions. Their services include home, pre-purchase, pre-sale, construction, pre-warranty, and investor property inspections. They follow Texas Specific Standards of Practice and are licensed and bonded. Home Team Inspection Service is the company San Antonio residents and businesses count on for a faster, more reliable home inspection. They make every home inspection a team effort, and former customers rave about their systematic approach and comprehensive, detailed, and reliable reports. Their services include home inspection, swimming pool inspection, sprinkler and irrigation system inspection, and pest and termite inspection. 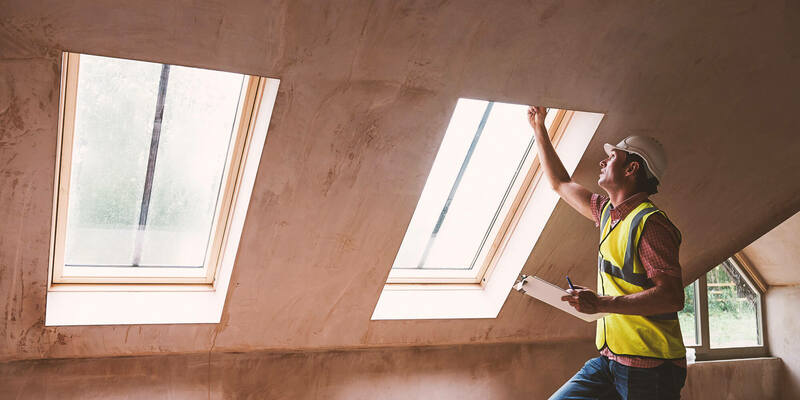 Home Team Inspection Service works with homeowners, real estate professionals, home buyers, and property owners planning new construction projects. Jeff Slusser Home Inspections will offer you a guided walk-through of your future property while educating you on the condition and/or maintenance details that are included in every home inspection report. His inspections include a 90-day warranty at no additional cost and a recall check on major appliances. This professional real estate inspector is licensed in San Antonio and has been a member of the San Antonio Board of Realtors since 2014. Inspector Closeau Home Inspections has more than 30 years of experience providing comprehensive and unbiased analyses of buildings' major systems and structural elements. They use a format that is easy to understand and removes some of the stress of buying or selling a home. Their inspectors are certified and licensed by the Texas Real Estate Commission and always prioritize customer satisfaction. Inspector Clouseau Home Inspections offers a free 90-day warranty and a 200% satisfaction guarantee. At Magnum Home Inspections Inc., They believe that you can never be too careful when it comes to the security of your house, family, and possessions. they have built a solid reputation in the San Antonio area for having the ability to locate and Report economic and safety issues with your new home. Its owner has been in the construction and real estate business for over 30 years While offering a variety of services to include pre-listing, pre-purchase, builder warranty, and commercial inspections. Monsivais Inspections understands that buying a new home in San Antonio may be the biggest investment customers make in their life. Since there is always risk involved when making such a large decision, the Texas-licensed home inspector strives to make the process less stressful. Customers receive a comprehensive report that identifies and details each part of the inspection, helping home buyers make choices with greater confidence. Professional Inspectors Group is a San Antonio-based home inspection company that is dedicated to providing you with valuable information when buying or selling a home. They thoroughly inspect all major components of every property for any unknown defects and will advise you about future maintenance of a home even after the purchase is completed. Their services include pre-sale, pre-purchase, new home, new construction, commercial and multi-family home inspections, among many other related services. Since 2004, Reality Check Home and Termite Inspections has been a family owned and operated home inspection service for San Antonio and surrounding areas. Their motto is,”Give us 5% of your confidence, we’ll earn the other 95%”. They provide informative and professional inspection services that offers an unbiased, objective opinion of the condition of any property. They offer pre-listing home inspections for home sellers, new home warranty inspections, condo and townhouse inspections, investor and foreclosure inspections, and historic home inspections. At Sharpview Inspections in San Antonio, they will walk through every step of the home inspection process with you. With their experience evaluating homes in the San Antonio area, they know exactly which areas are relevant to look at during the inspection to determine the overall condition of your home. You can expect a complete, detailed report within 24 hours after the inspection and they ensure that each customer gets a quality inspection every time. At Texas Pride Home Inspections, their inspectors have been recently finding many problems with the construction of new homes. These problems include drip-edge and rake-edge flashing as well as incorrect valley flashing problems Which can lead to roof leaks and rotted trim. With a 24-hour turnaround reports after inspection completion, they will provide you with color photos and explanations to help you make an informed decision about your new home.